The classification of magnetic signals has become one of the challenging research problems in brain computer interfaces (BCIs). Magnetic signals, as measured with electroencephalography (EEG) and magnetoencephalography (MEG), contain lots of additional information on the bioelectrical activity of the brain. 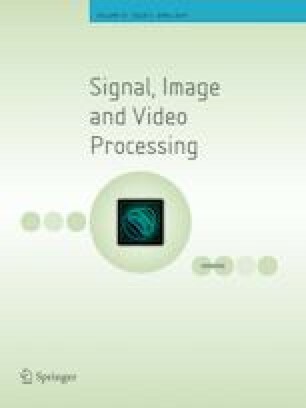 In this paper, we propose a simple transformation method that utilises signal-to-image conversion. This conversion is a kind of finite amplitude frequency transformation based on the changing points of the signals. In other words, arbitrary time domain signals are converted to two-dimensional finite images, which are then used in the classification of the signals. In feature extraction, the Harris corner detector and scale-invariant feature transform are combined with the bag of visual words, and these features are then classified by using the k-nearest neighbour algorithm. To confirm the validity of the proposed method, experiments are conducted on the BCI Competition 2003 Datasets Ia and BCI Competition 2008 Dataset III. The classification accuracy of the proposed method is over 96.21% for Dataset Ia and 78.99% for Dataset III. It is apparent from the results that the EEG and MEG signals are quite successfully classified by employing the proposed method.